Some divorces can be filed and finished in a day: two parties agree to end a marriage, split their property and belongings, share the kids, and go their separate ways. Most divorces don’t proceed like this. If you’ve started to think about getting a divorce, you may be anticipating the emotional and financial toll of the legal process, wondering about how you’ll support yourself and where you’ll go, and feeling anxious about the children. You may want to end your marriage the way you’d pull off a Band-Aid – quickly, and with your eyes closed. You may think you want to punish your spouse. You may be in fear because of domestic abuse. You may not know where to start. Hopefully this document can help you begin to answer some of those open questions. After doing your research and thinking about your situation and the outcomes you desire, the best thing you can do is talk: with your family, your friends, with your spouse if you’re safe and comfortable doing so – but finally with an attorney. Imagine that you get to sit down for a cup of coffee with a judge. What would you ask him or her to grant you? Really, when asking a judge to grant you a divorce – on fair, equitable terms – you’re asking for a form of relief: relief from an unbearable or undesirable situation, relief from undue financial burdens, relief from worry and anxiety. So, what type of relief do you want? Do you want to keep the house? Half of the bank accounts? Full or joint custody of your children? It’s generally better to ask for more: you can, and probably will, retreat from that position as you work through the divorce process. In any case, you don’t get to sit down for a cup of coffee with the judge, but you do get to sit down with your attorney. These are the questions you should work through with your attorney, who can put all these requests, in the proper language, into your complaint for divorce. Where and When to File: You don’t have to go to the county where you were married to file for divorce. You can file for divorce in the county where you’re living on the day of your filing. If you move outside that county after filing, that county’s court will still handle your case. There is, however, a restriction on when you can file. Except in cases of adultery, New Jersey law requires you to have lived in the state for one year before filing a complaint for divorce. Responding to Divorce Papers: If a process server and sheriff come your residence and served you with papers, you will have 35 days to answer the complaint. You can ask for an extension, but really, your focus should be on finding a qualified attorney. Your spouse has an attorney and has already decided what he or she wants to get out of the process. You should select a divorce attorney, read over the complaint carefully, and think about what you want to counter. You will discuss these things in your first consultation. Choosing a Divorce Attorney: You’ll want a trustworthy divorce attorney on your side, but beyond that, what you should look for in an attorney depends mostly on what you value and what you want to get out of the divorce. If you expect to fight every step of the way – and if you’re keen on fighting back, and don’t care much for compromising – then you should get a notorious battler. In most cases, though, you’ll probably want a attorney with whom you feel comfortable. Do you feel assured that your attorney is listening to you, and using your best interests to navigate? Will you get the attorney you pick and pay for, or will that attorney hand you off to others in his or her firm after the consultation? You want someone who can foresee problems and possibilities you wouldn’t – you also want someone with a reputation for creative, innovative solutions to the knotty problems of asset division, alimony, and child custody and support. You’ll want an attorney who can give you peace of mind and fight for a fair and equitable outcome for you and your children. Two or three years of tax returns. Information to aid in estimating the family budget. Information on debts, credit card statements, mortgages, student loans, etc. The more information you can bring to a first consultation, the sooner you’ll be able to predict and start planning for the possible outcomes of your case. 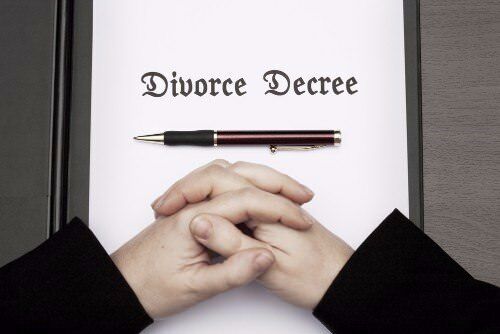 You can file for divorce in any county in New Jersey. 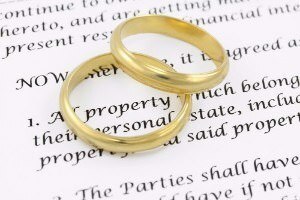 You must choose a divorce attorney who you feel comfortable working with and whom you trust. You and your spouse have the most control over this timeline. The quicker you exchange financial information, discuss the situation with any children, and come to an agreement with your spouse, the quicker the process will be over. Rare cases can settle in a day; many cases are resolved within three months; and some cases, with battling spouses in entrenched positions, go to trial, and could last up to two or three years. While you will want to get through your divorce as quickly as possible – and a family law attorney can help you to do that – you can’t lose sight of what’s best for you and your children. Consulting an attorney can help you come to understand what you feel is worth fighting for and what might be open to compromise. How Much Divorce Costs: Though there are filing fees, most of the cost of the divorce process comes from your attorney’s hourly rate. It’s not easy to predict the ultimate cost of a divorce from the outset – that will depend on how much time is spent negotiating and litigating, and that, in turn, depends on how quickly you and your spouse can come to an agreement. You can help to keep costs down by minimizing contact with your attorney, as emails, texts, and phone calls can all count toward “billable hours.” If you’re concerned about keeping costs down, come up with a plan and stick to it; be efficient in communication; and be ready to compromise. Main Steps: The following are the main steps in the divorce process. The first step in the divorce process is a case management conference – it sets a schedule for the process. This could be done in person, with the two attorneys and the judge, or it could be done by consent, meaning the two attorneys would work on a written schedule, get it signed by both parties, and send it to the judge for approval. Next is the discovery phase, which is an exchange of financial information. Often clients are surprised by “hidden” bank accounts and assets. New Jersey law requires couples pursuing a divorce to attend an early settlement panel, where both sides present a reasonable settlement for review by the other party. You can negotiate here. Your attorney will also advise you about the pros and cons of the settlement offered, and advise you about the likelihood of winning your case with your particular judge, in the event that you do go to trial. If you are unsuccessful in settling, you will be required to attend economic mediation. Part of this process will be free of charge, but part will cost you additional money. If you do not reach an agreement in economic mediation, your case will go to trial. How long the divorce process will take depends on how quickly you and your spouse are able to agree on matters like custody, support and division of assets. How much divorce costs again depends on how much of your attorney’s time you are going to end up paying for in lawyer fees. Going to Court: It’s totally understandable that you might want to keep your divorce out of the court. A trial means more time, money, and energy spent. In New Jersey, 98% of divorces settle out of court. This doesn’t mean that you should be afraid to go to court, but you should understand the benefits of settling – beyond the time, money, and energy saved. If you come to an agreement outside of the court, you have a greater say in the outcome: you and your spouse decide together how to divide your assets and how to provide for your children. Cohabiting During the Divorce Process: It’s possible and, in some cases, advisable for spouses to continue living together during the divorce process. The most obvious reason is that it saves both money on household expenses, but it could also benefit the children, providing stability, and giving them more time to adjust to the idea of your divorce. However, cohabitating can lead to serious and sometimes even dangerous complications, compounding stress in an already stressful time. Have both parties emotionally moved on from their former relationship? Is there acrimony that could negatively affect either party’s emotional wellbeing, or the wellbeing of the children? Seriously consider these questions before deciding whether you might continue to share a home during the divorce process. There is no one solution to fit all divorce cases. You might move the children to another location. The children might stay in the shared home while both parents rotate occupancy, each keeping up another residence elsewhere. If one spouse has a history of violence, continuing to live together is totally inadvisable. In cases of violence, the court will order the violent party out of the home. Making Spouse Pay Legal Fees: In New Jersey, no law requires a working spouse to pay legal fees for a stay-at-home spouse during a divorce. Sometimes, parties will arrange to split a certain shared marital asset – like a savings account – right away, so it can serve as a litigation fund. If parties can’t agree to an arrangement at the onset of litigation, a judge will decide the issue after the appropriate party files a motion. Social Media During Divorce: Social media is not the place to litigate your case. Nor is it the right place to vent your frustration against your spouse, the judge, your spouse’s attorney, or your own attorney. You gain nothing by venting, and you could do a lot of damage. You don’t have to delete your social media accounts, but you should keep your legal battle off the internet. This is especially important if you have young children. Anything at all that you post is subject to be screenshotted, shared, and commented upon. You don’t want your child exposed to that. You don’t want your divorce to become a piece of gossip for your children’s friends and their parents. While it’s important to be frank and open with your children, conversations about the divorce should happen in person, in your home, in a space that you control. In high profile cases, a judge might legally bar you and your spouse from posting anything about the case. Going to trial is inevitable if both parties cannot agree to settle on issues, and is usually an expensive process. Social media is not the place to litigate your case, and in some cases, may do more harm than good. If you or a loved one is going through a divorce, please contact New Jersey Divorce Attorney, Tanya Freeman, to get the legal aid that you need.